BlogTalkRadio today announced that it has updated its Cinch mobile podcasting service to let you use a custom podcast feed URL. Previously, your podcast feed URL was automatically set to your mobile phone number. I question a service that makes it easy to do something dangerous. By using this service, you‚Äôre not just advertising your phone number to the world, you‚Äôre doing it in a way that makes it easy for automated crawlers, spammers and Internet creeps to find. This was a concern for a lot of people. At the time, BlogTalkRadio’s Kris Smith let us know that customized RSS feed URLs would soon be available.¬† They’ve followed through quickly on their promise. With the changes, Cinch deserves another look. 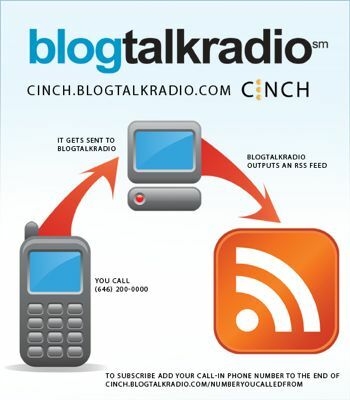 If you’re interested in a service that makes creating a podcast via your cell phone a no-brainer, you’ll want to check out BlogTalkRadio’s Cinch.